The annual Toastmasters graduation dinner was held on Thursday 14th March in the Jubilee room. 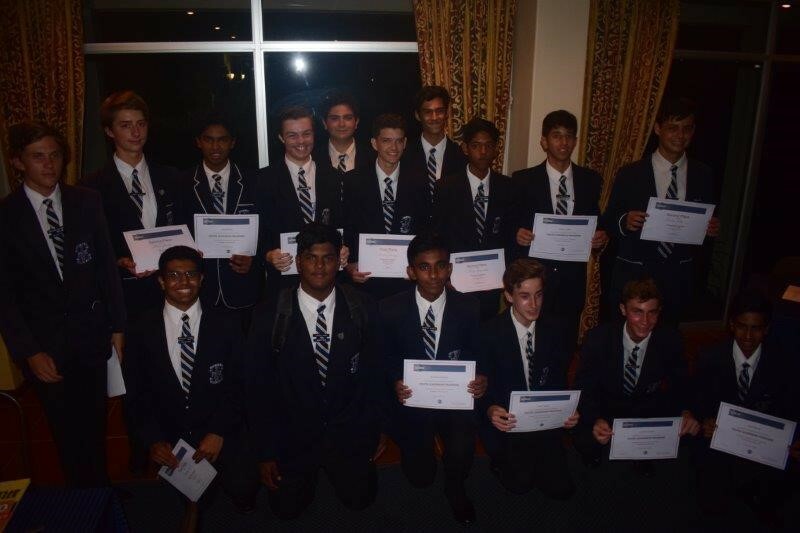 21 grade 11 learners qualified for their internationally recognized Toastmaster’s certificate. 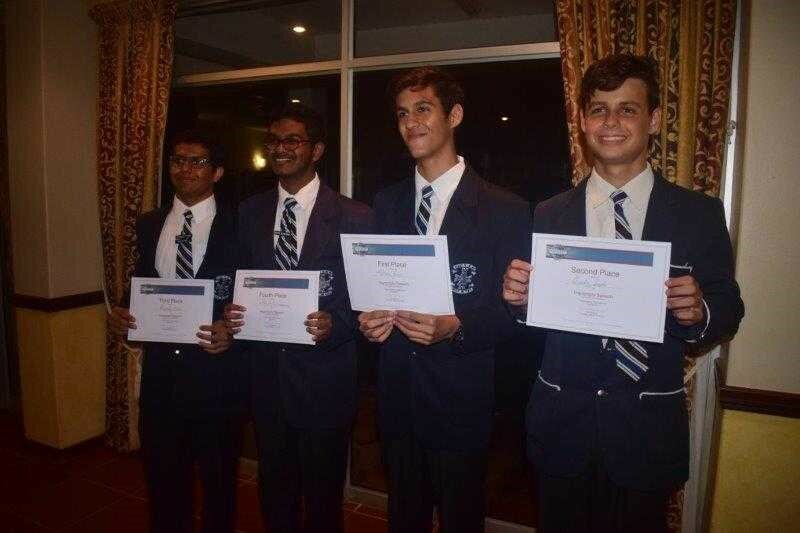 The winners in the Evaluation section: L to R : Yasheel Pillay; Azhar Khatib; Thomas Buckle (runner up) and category winner Teague Ciaglia (winner). 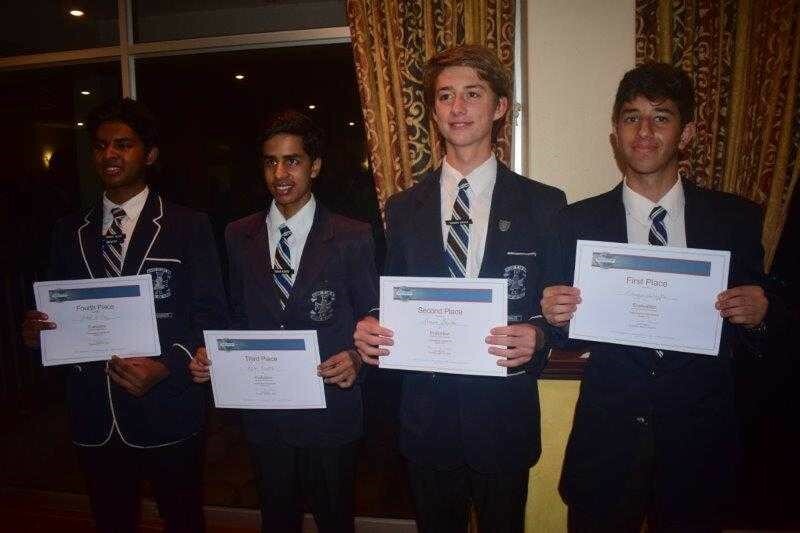 L to R: Priyavrata Tolmen; Nikhil Govindsamy; Shaun Roux (winner) and Bradley Bester (runner up). 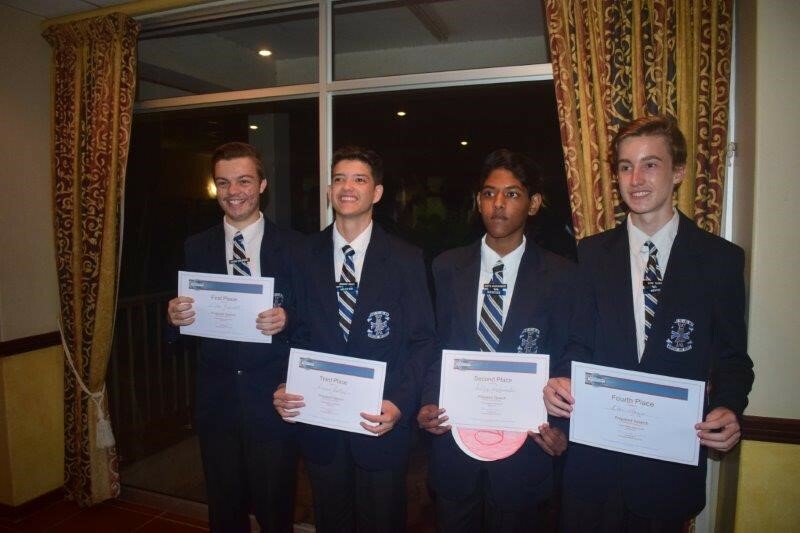 L to R- Caleb Kozlowski (winner); Leonard Bailey; Aditya Raghunandan (runner up); Evan Teague. Congratulations to all graduates who put up a sterling performance on the evening. 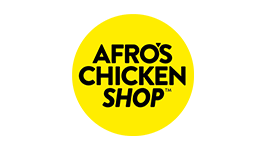 Congratulations to the winners and runner up in the respective categories who go through to the semi-finals.